Senator Lindsey Graham (R-S.C.) blasted a reporter’s “absurd” question regarding his support for President Trump amid the Russian collusion investigation and its fallout. 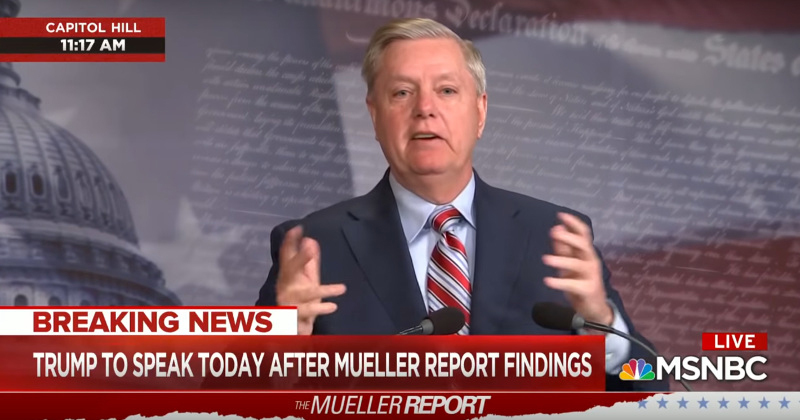 During a press conference on Monday, Graham was asked if his apparent loyalty to the president could be considered inappropriate. Politico reports that Graham “lavished the president with praise” during his address at the private Mar-a-Lago event on Friday night where he was the keynote speaker. Now that the Mueller report has been completed, those that pushed the false narrative of Russian collusion have been exposed.